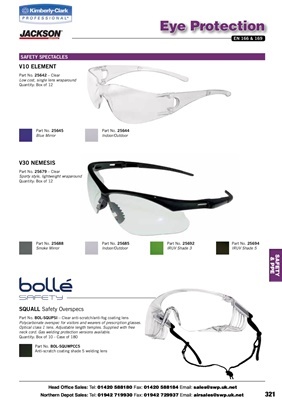 Polycarbonate overspec for visitors and wearers of prescription glasses. neck cord. Gas welding protection versions available.